Yes, I watch Disney’s The Lion Guard. So what? I am not as big a fan of it as some are, but with my other choices being The Walking Dead or Beavis and Butthead, I have made do with what I have. (For those of you wondering how I can skip out on such a compelling show as The Walking Dead, please remember that I have stated that I do not like horror stories, the genre which includes zombies.) I will take talking lions and cheetahs and baboons – oh, my! – over the undead and stupid caricatures at every opportunity. The Lion Guard focuses on Simba’s heretofore unknown son, Kion. 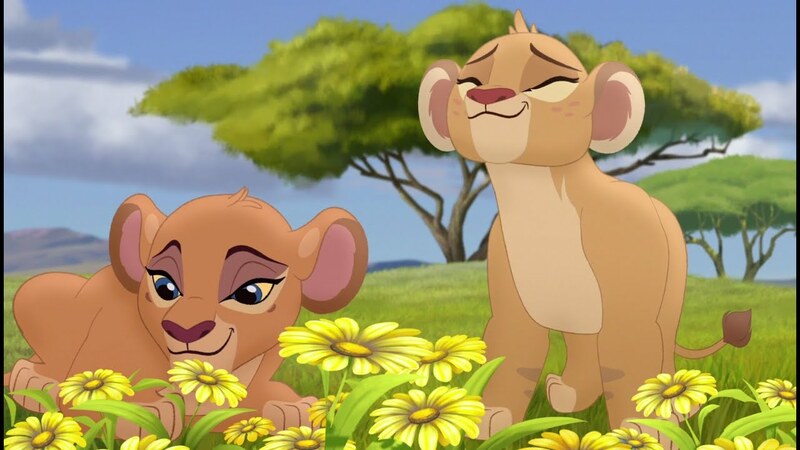 The second born cub of Simba and Nala, and Kiara’s younger brother, Kion is given the responsibility of protecting the Pridelands and the “Circle of Life” by leading a team known as the Lion Guard. Their mission is to defend the Pridelands from invasion, as well as the imbalance due to the greed of the creatures that live in and around the territory controlled by Simba and his pride. Other than his royal heritage, what gives Kion this right and responsibility? He has inherited the power of the “Roar of the Elders.” When Kion roars, the great lions of the Pridelands’ past roar with him. This gives his own roar quite a big boost, allowing him to knock down and scatter the enemies that continue to trouble the Pridelands and threaten the Circle of Life. Turns out, Scar had this roar, too, when he was a cub. But he got to like wielding it too much and thought he could use it to get Mufasa out of the way and make himself king. Well, when he asked or demanded that his Lion Guard – made up of lions from the pride – help him overthrow Mufasa, they refused. Enraged, Scar used the roar on his own Lion Guard. This presumably killed them, and the fact that Scar used the roar for evil cost him his ability to use it. It also made him the skinny, unhealthy looking lion we saw in the first Lion King film. Now there has been a big to-do over Kion’s Lion Guard. This Guard is supposed to show “diversity” in that the only lion in the Guard is Kion. The rest of the animals in the Guard are Bunga, a honey badger; Ono, an egret; Beshte, a hippopotamous, and Fuli, a cheetah. It is more than slightly laughable to think that this mixed bag of animals is a good representation of “diversity” for children. Eventually, the children will grow up to learn that animals in the wild do not mix like this. Egrets, honey badgers, and hippos all do their own things, while cheetahs will get up and leave a kill when a lion starts walking toward it and them. Because lions are bigger than cheetahs, the smaller cats have very, very little to do with them, mostly because they do not want to be the lion’s side dish at the dinner table. You can see that I give the “diversity” aim of The Lion Guard the respect it deserves. Why, then, do I continue to watch the show – even to avoid a series like Beavis and Butthead? I watch the show because the lead character and his male friends are actually allowed to be smart, chivalrous boys. Allow me to explain: if you watch Sofia the First or Elena of Avalor with your daughters/nieces/sisters/whichever, you have seen the girls lead the boys in everything. They are braver, smarter, more compassionate, and completely better in every way than the men in their lives. Although the main male characters in these shows might not be bumbling, fumbling fools ninety percent of the time, the side male characters often are. Now, admittedly, The Lion Guard has a character that falls into this category ninety percent of the time. This would be the honey badger, Bunga, Kion’s best friend and the adopted nephew of Timon and Pumba. Bunga’s position in the Guard is the bravest – he is so brave he “[borders] on stupid,” to quote Kiara. Most fans find him annoying and want him dead. I think that last part is a little harsh. I agree that Bunga is irritating, but this is a children’s show, people. And Bunga’s voice actor should get a chance to pay for his college education, too, so I do not want his character dead. If he could be a little less stupid and a little more observant, I would not say no to that; dead, I will not accept. Bunga is the only member of the team to act in a consistently dense manner. The other two male members of the Guard – Beshte and Ono – are far from unintelligent. Beshte is the hippo and the strongest in the Pridelands. He is therefore the quintessential gentle giant, and there is nothing wrong with that. Andre the Giant was a gentle giant; gentle giants are good characters. And Beshte also has a temper that will flare up occasionally, so he has a little spice mixed in with the sweetness. Ono leans toward the studious know-it-all trope. The keenest of sight in the Pridelands, Ono acts as the Guard’s eyes, looking for trouble and yelling it out to the Guard. While Ono has many of the nose-in-a-book stereotypical trappings, the difference is that he will fight without too much hesitation. He has mixed it up with vultures, hawks, and land animals, no mean feat for a bird that is not a raptor. It usually makes up for his skittish or know-it-all failings. Kion is, by far, the one who breaks the mold of the modern formulaic boy. He is polite, friendly, calm, fierce, and quick-thinking. Even Avengers Assemble struggled with portraying the male heroes in this fashion, as you will find if you read the posts about the series here on my blog. The male Avengers – especially Hawkeye – were portrayed as fools in most of the episodes at the series’ start. This is due to the fact that the writers began telling the story of Assemble through a liberal-ified lens in the first season and kept it going through the second (and they seem to be reverting to that form with a vengeance for season four). If you drop by the Disney channels, even for the advertisements alone, you will find them to be mostly girl-centered. This is not just with shows like Sofia the First, Doc McStuffins, and Elena of Avalor. Disney has a whole series of ads called “Dream Big, Princess” to inspire girls to be anything they want to be. They also have advertisements for Lab Rats, Descendants, and other shows which make boys look like brainless idiots and girls look like uber women in training. This is not only unrealistic and disheartening, it is dangerous. What is your son/nephew/brother or the boy next door supposed to achieve with these caricatures as his models? Disney has no “Dream Big, Prince” television ads encouraging boys to be great men like Prince Phillip, Prince Eric, or even Kristoff in their last big film, Frozen. Instead they push the popular narrative that boys are mini-barbarians or mini-buffoons in training who will someday grow up to be Big Barbarians or Big Buffoons. If I had to bet, this is one of the reasons why The Lion Guard has taken off. Throughout the series so far, Kion has rarely failed to be a good little boy. In the first episode of the series, Kion ends up in the Outlands after chasing some marauding hyenas out of the Pridelands. While on the other side of the border, he bumps into a female hyena named Jasiri. At first, Kion is suspicious of Jasiri, referring to her as “hyena” and being snappish when he speaks to her. But when Jasiri proves to be totally unlike the other hyenas, Kion starts treating her better. He proves that his earlier conduct toward her was a lapse in judgement and a jump to a conclusion when he comes back to defend Jasiri from the same marauding hyenas at the end of the episode. Though Jasiri proves to be a capable fighter, there is never a hint that Kion should apologize for coming to help her or defer to her as some fighting goddess he should worship. In fact, at one point during the battle, he thrusts Jasiri to the ground in order to headbutt a hyena she has not seen coming. Not only does the move show fast thinking, it proves that Kion’s earlier behavior was a mistake he has since recognized and corrected. This is not the last time that Kion behaves in a chivalrous manner toward a girl, either. Although they have the regular spats any pair of siblings would, Kion treats Kiara with a respect that is the exact opposite of simpering worship. It also has overtones of a greater reverence than most boys in modern media show their sisters. It is an esteem which comes from a healthy dose of – *gasp* – chivalry! But the best episode to show Kion’s sense of chivalry so far was “The Search for Utamu” because it was his most obvious display of the virtue. It also added a healthy dose of chilvalry to the other Guard members’ characters as well. In this episode the lone female member of the Guard, Fuli the cheetah, overexerts herself while she is supposed to be resting. Cheetahs can only keep their amazing speed going for a few minutes. After that, it can take them up to half an hour to get their breath back. Once a cheetah makes a kill, it has to sit beside the animal for at least that long to get its breath and then it can eat. This is why it will get up and walk away when it sees a lion coming to check out the kill. Not only is the cheetah smaller and weaker than the lion but, when out of breath, it cannot outpace the lion. Fuli is still a cub, and as of this episode she did not believe that she had any limits. Her inevitable exhaustion after her lone escapade leaves Fuli vulnerable to an attack from a group of vultures. When the male Guard members learn about her danger, they all rush to their female friend’s defense. Kion especially shows anger at the vultures when he blasts them into the distance with the Roar of the Elders (which is probably why we did not see them for some time after this episode). So while Fuli and Jasiri are both female characters who can manage their own affairs – and who often say they can look after themselves without interference from “foolish males” – they have both landed in situations where they needed Kion and the other boys’ aid. And while Kion respects the abilities and competence of his two female friends, he also treats them with the special regard that they deserve as girls. This does not diminish the girls’ fighting and survival abilities and, amazingly, it does not make the boys’ desire to protect them when they cannot defend themselves appear silly. This showing of chivalry is a great thing, as it spotlights a virtue which male characters have been denied in similar series – created by Disney and other companies – for far too long. Another way our male lead demonstrates his chivalry is by his dealings with Kiara’s airheaded “friends,” the lioness cubs Tiifu and Zuri. While the Guard has Bunga, the typical “boys drool” character, Kiara is saddled with two lioness cubs who are more concerned with their looks and social status than with anything even vaguely important. Kion treats both these fluff-brained characters in general with a respect they have never earned, only rolling his eyes once when talking to them in “The Rise of Scar” and telling them off, rightly, when they allowed Kiara to go to a meeting with a known enemy on her own in “Can’t Wait to Be Queen.” The only explanation for his willingness to consider these two girls as anything remotely resembling “family” is the fact that they are girls – and oh, yeah, they happen to hang out with his sister. As I have already mentioned, Kion continually shows quick-thinking during the series. Unlike Star Trek: The Next Generation’s unending roundtable discussions in the midst of calm and battle, most of the Guard’s tactics and strategies are actually made by Kion, either on the spur of the moment or through hours of training between patrols. The other members of the Guard follow his orders and decisions, though not always without question or input. In comparison to other male leads (in the modern Disney brand and other franchises), Kion is far more intelligent than the talking heads would have children believe boys can be. It is also refreshing to see that, even when Kion must trust his friends to come up with a plan, he does not effusively kowtow to them after this. He accepts their advice and praises his friends’ plans without being a sycophant, congratulating them on their quick-thinking before turning back to the task at hand. Or paw, in his case. Something else to note about The Lion Guard is Kion’s fighting prowess. The four leading male characters in the show are good fighters, but Kion is the best of the bunch. 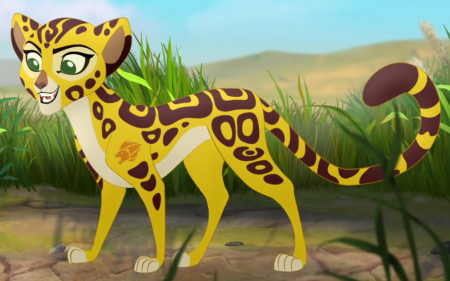 Where the girl often comes to the boy’s rescue in current children’s television shows, Kion is rarely in need of such a save. And when he does need the help of a female character, such as in “Never Judge a Hyena by Its’ Spots,” Kion shows by his dialogue that he thinks just as deeply and quickly in such situations as those where he is supposedly “in control” of the circumstances. Thus far, The Lion Guard has proven to be a better series than I had anticipated. It is a show with a male protagonist who is chivalrous, competent, and smart. Though I take issue with some of the show’s themes, one thing which I really appreciate and cheer on is Kion’s quiet, unabashed, and completely proper masculinity. This entry was posted in Spotlight!, TV Shows and tagged Atticus Shaffer, Beavis and Butthead, Beshte, Bunga, cheetahs, Circle of Life, David Oyelowo, Diamond White, Disney, Disney films, Disney movies, Disney Princesses, Disney songs, Disney XD, Dusan Brown, Eden Riegel, Ernie Sabella, fathers, fathers and sons, Fuli, Gabrielle Union, Gary Anthony Williams, James Earl Jones, Jasiri, Jeff Bennett, Joshua Rush, Kevin Schon, Khary Payton, Kiara, Kion, lions, Max Charles, Mufasa, Nala, Ono, Path of Honor, Pridelands, Pumbaa, Rob Lowe, Scar, Simba, Spotlight!, The Lion King, The Walking Dead, Tiifu, Timon, TV series, TV Shows, Walt Disney, zombies, Zuri on November 10, 2017 by The Mithril Guardian. This inspired parody was written by masterleiaofasgard for Captain America: Civil War. I never even thought to put this song to the moment Steve and Sharon kissed – but Leia did! A master indeed, you cannot fail to enjoy her fun, witty parody, readers! Sam: They’ll fall in love, and here’s the bottom line, our trio’s down to two. With all its living things. This entry was posted in Marvel Comics' Characters and Stories and tagged Agent 13/Sharon Carter, Anthony Mackie, Avengers, Can You Feel the Love Tonight?, Captain America/Steve Rogers, Captain America: Civil War, Chris Evans, Disney films, Disney movies, Emily VanCamp, Falcon/Sam Wilson, fun songs, love songs, Marvel, Marvel Cinematic Universe, Marvel Comics, Marvel Comics' Characters and Stories, Marvel fans, Marvel films, Marvel movies, Nala, parodies, Parody, Pumbaa, Reblogs, Sebastian Stan, Simba, songs, superheroes, The Lion King, Timon, Winter Soldier/Bucky Barnes on May 31, 2016 by The Mithril Guardian.